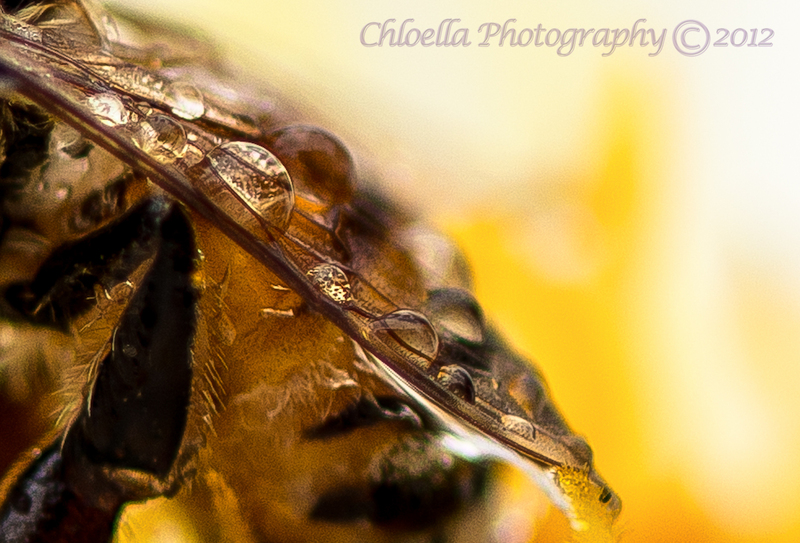 I played around with the D800E and the 105mm Macro today. We had the sprinklers on in the yard, so I took advantage of the water everywhere. I did augment a bit with a spray bottle where needed. I was quite surprised when I blew up a shot of a flower to find this bee that was sopping wet. I’ve cropped this quite significantly, and sharpened just a bit in LR4. 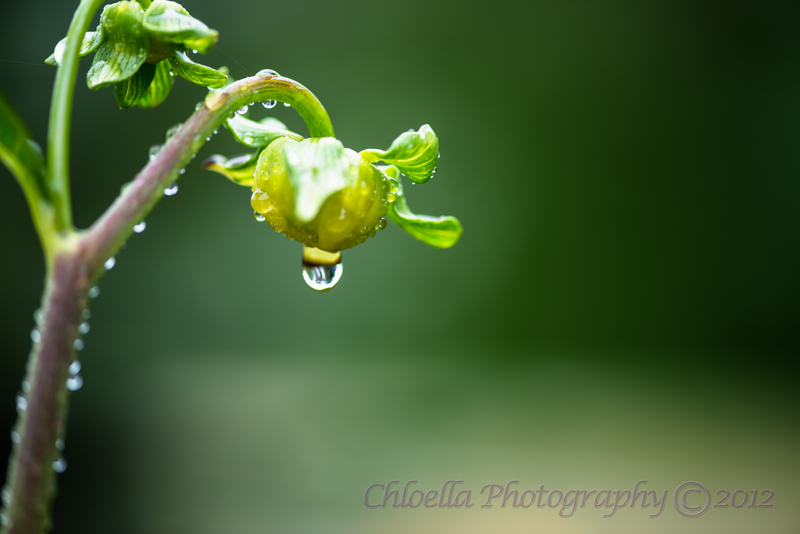 The second photo is a dahlia bud that was dripping water. I did try a few shots with my 50mm 1.8 – but was not anywhere nearly as pleased with the results. I tried some shots just handheld, some with the monopod, but the ones I did with the tripod were by far the most successful. I have quite a lot to learn about this amazing lens . . . most certainly how to control depth of field. Oh my goodness! Thank you so much for pointing that out!! Yes – it should be 105mm! Awesome . . . so happy I was able to inspire you! 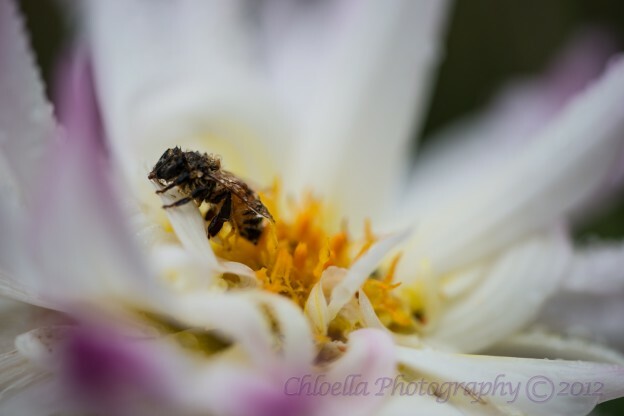 Some of my happiest moments are when I’m behind my camera or sitting at the computer processing my photos!